In actuality though, there is no gaping space on the stock piece. There is the single baffle and then all the air must flow through a port and back through another chamber before reaching the PCV valve. 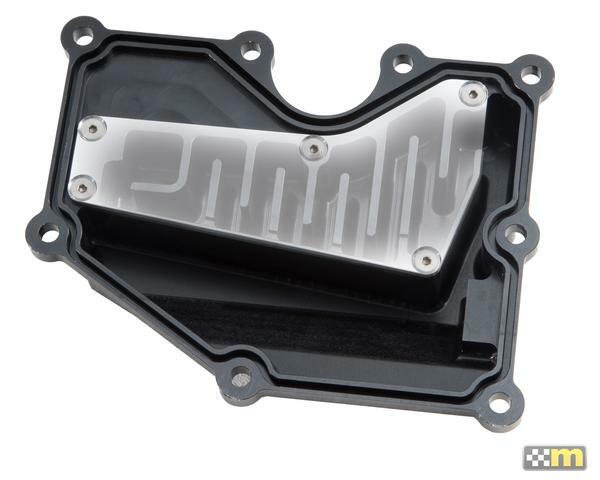 It seems Mountune addressed this in the revision of the breather plate that the UK store sells. This has the baffle plus and isolated chamber with the labyrinth style turns on it which would seem to help vs the stock piece. As of now I am swapping back to the stock piece to see how that does. I would be interested to know what others think about this. Last edited by Ankah; 03-14-2019 at 11:35 PM. Also, I don't think that the breather plate and pcv system sends oil vapor to where you found it. 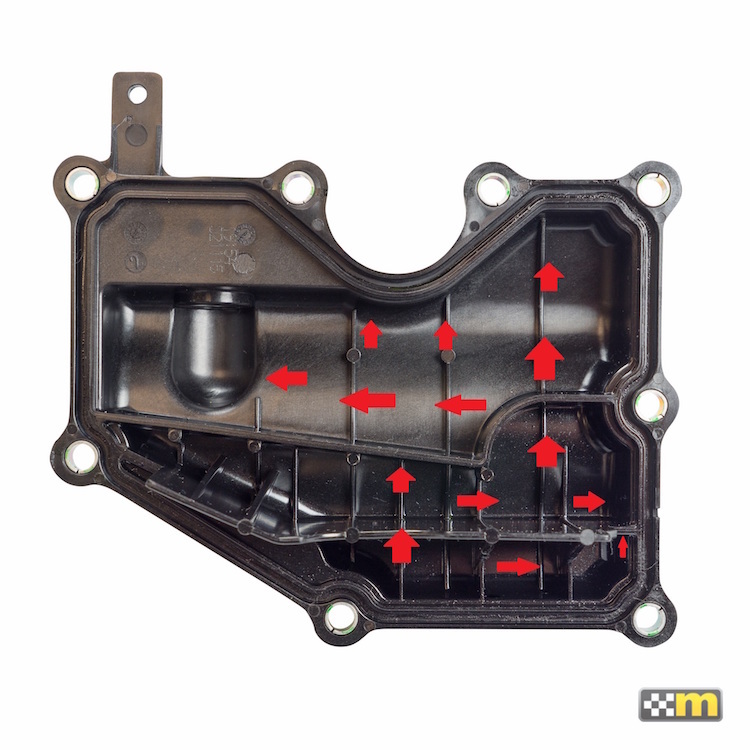 The breather plate side of the PCV system dumps into the intake manifold after the throttle body when off boost, which feeds mostly into cylinders 2 & 3. Which is why people are concerned with carbon buildup on cyl 2&3. Also, wouldn't your catch can have caught whatever the breather plate sent past the PCV valve? 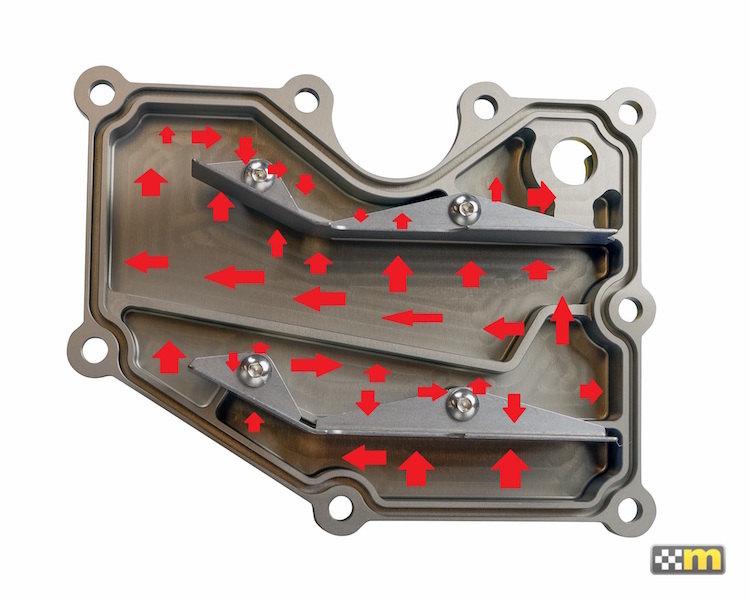 I'm curious if how much (if at all) the Mountune pieces condense out the oil vapors better than the stock unit. I mean, it could be a nice piece of decoration for the motor. I have one on my car, no catch can, mostly for piece of mind. You could do a 500 mile back-to-back check to see if you get more liquid in your catch can, but I don't think anyone has bothered yet. 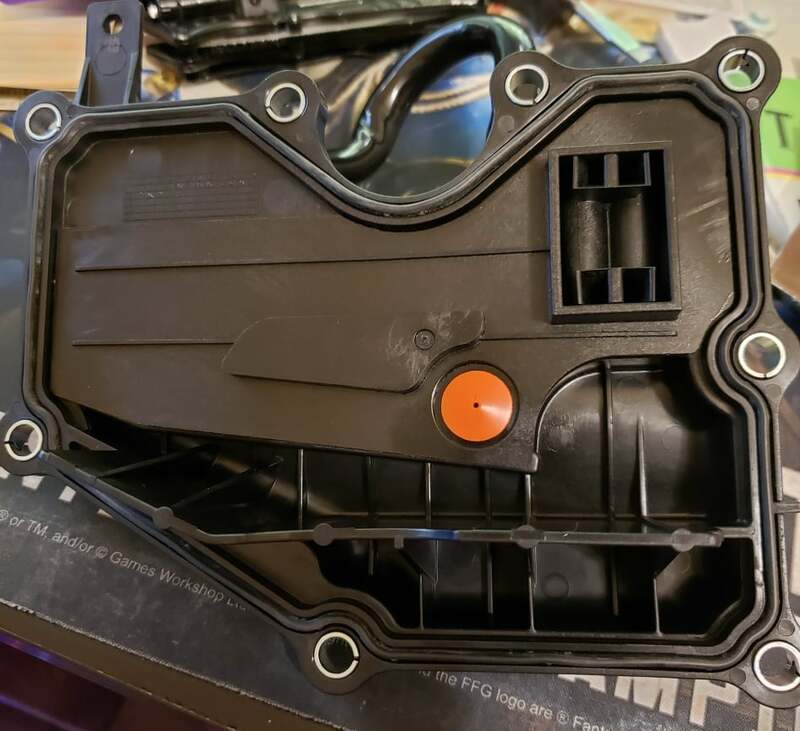 I'd be more concerned, if at all, with the crankcase breather fitting that goes into the back of the induction tubing between the air filter and turbo. That's where your oil is likely coming from if you don't have a bad turbo. Do you have a dual catchcan setup? Also this is all cause by crank case pressure. You could reduce that pressure by using the upr oil breather cap. Since the whole system is connected when it starts to build pressure it will release out the top breather which should reduce the amount of flow through the pcv system. so was thinking of adding catch can, but should i just do the plate and forget the can? $260 CDN plus tax ($34) for a can and a couple fittings with 3 feet of rubber hose. the plate is about $140 CDN. don't drive car hard or race it in anyway, just my everyday car. but do want to be sure i do right thing to save on issues later on, if any. So --- catch can and plate or just the plate and a oil breather cap? just don't wanna spend $300 if i don't need to. probably gonna get YES DO and DON'T NEED --- so chime in and let's see what percent is DO to DON'T. hoping to skip the can but will do if need be. please help for those in the what to know. P.P.P.P.P. I didnt see the value in the original Mountune design and re appraised when they came out with the revised type. I did buy one but along with the dual Radium can havent fitted them as yet. From European forums the std original Mountune plate isnt enough without a can. If I had to do one or the other I'd go the std plate and a pair of cans. lucky phil is the man on this, and a good dual catchcan setup is ideal as it should catch most if not all of any oil vapors. I'm happy with the gray Mountune plate and only run the Ford oil, which was formulated to help limit carbon buildup. I'm expecting to have to clean the intake valves at some point in the future just because this is a DI motor. Pulling the intake manifold isn't hard at all anyway. Looks like the first pic is of the stock st breather plate and the rs has a better design. Looking forward to seeing what difference you notice in the amount of oil in the catch can while using the stock rs plate vs the original mountune design. I think im going to stick to the stock one too with a catch can until I can get the revised mountune one.